Brewer's yeast is made from a one-celled fungus called Saccharomyces cerevisiae and is used to make beer. It also can be grown to make nutritional supplements. Brewer's yeast is a rich source of minerals -- particularly chromium, an essential trace mineral that helps the body maintain normal blood sugar levels; selenium; protein; and the B-complex vitamins. It tastes bitter and should not be confused with baker's yeast, nutritional yeast, or torula yeast. All those types of yeast are low in chromium. Brewer’s yeast contains small organisms (microflora) that help maintain the proper functioning of the digestive tract. As a nutritional supplement, brewer’s yeast may enhance energy levels and strengthen the immune system. Brewer's yeast is often used as a source of B-complex vitamins, chromium, selenium, iron, potassium, zinc and magnesium. The B-complex vitamins in brewer's yeast include B1 (thiamine), B2 (riboflavin), B3 (niacin), B5 (pantothenic acid), B6 (pyridoxine), B9 (folic acid), and H or B7 (biotin). These vitamins help break down carbohydrates, fats, and proteins, which provide the body with energy. They also support the nervous system, help maintain the muscles used for digestion, and keep skin, hair, eyes, mouth, and liver healthy. Brewer's yeast does not contain vitamin B12, although ithere are some brands that add it to its composition, which we might check by reading the nutritional information of the product. Some studies suggest that chromium supplements may help people with diabetes control blood sugar levels. Chromium may lower blood sugar levels as well, improving glucose tolerance and reducing the amount of insulin needed. Because brewer's yeast is a rich source of chromium, scientists think it may help treat high blood sugar, for type 2 diabetes. A few studies suggest that brewer's yeast may help lower LDL ("bad") cholesterol levels in the blood and raise HDL ("good") cholesterol levels. Supplements such as brewer’s yeast can interact with some medication. The side effects of brewer’s yeast are generally mild. The most common are excess gas, bloating, and migraine-like headaches. Stop taking brewer’s yeast and contact your healthcare provider immediately if you experience chest pain or throat or chest tightness, or if you have difficulty breathing These side effects may indicate an allergic reaction to brewer’s yeast, so the Patients should speak with a healthcare provider before taking a nutritional supplement. 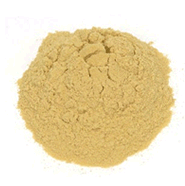 Brewer’s yeast is commonly available in powdered form or as small flakes. It is also said to have a flavor similar to cheese which can give you an idea for its culinary uses. You can for example sprinkle a moderate amount of powdered brewer’s yeast on popcorn to make your own cheese-flavored variety of this snack. Salad dressings and toppings on pasta dishes are also possible substitute uses of the flake form of this yeast. The hydrolyzed yeast ingredient in soup mixes likely refers to brewer’s yeast. You can thus make a similar soup dish by adding a teaspoon or two in your own home-made broth. It is often advised that brewer’s yeast be added at the end or after the food is cooked so that the heat doesn’t wipe out the B vitamins. Since it’s a good source of proteins, you can pop two or three tablespoons of brewer’s yeast into the blender along with whatever fruit you’re using for a power shake or smoothie. This will make an excellent revitalizing beverage after a hard work out.